Winning, Winning, & More Winning! No surprise here folks, just more of Trump actually doing what he said he would during his campaign. This man gives cares about the American people and our country. In First 2 Months in Office – Trump Reduces Debt by $100 Billion – Obama Increased Debt by $400 Billion – Half a Trillion Dollar Difference! 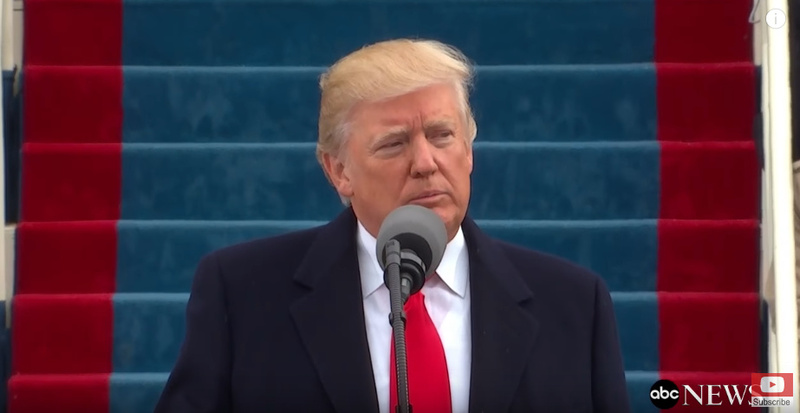 On January 20th, the day of President Trump’s Inauguration, the US Debt stood at $19,947 billion. 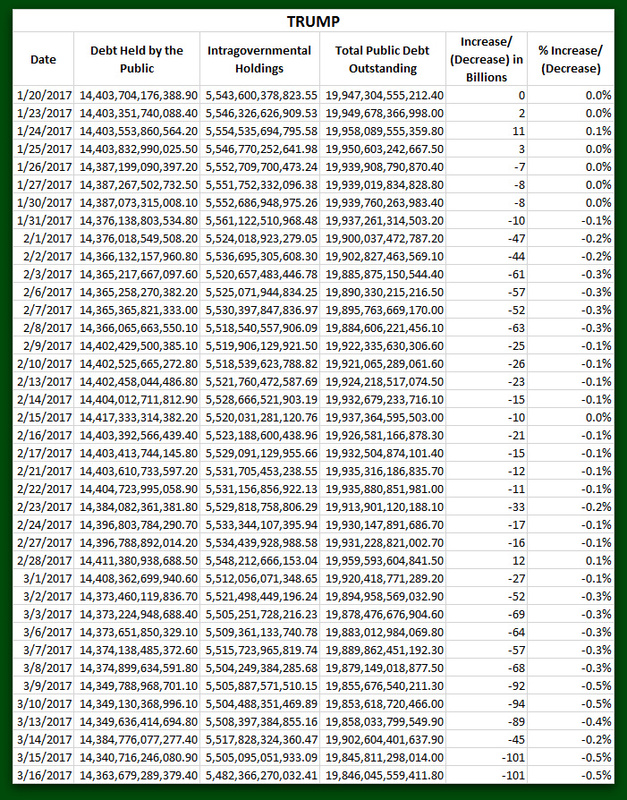 As of March 16th, the most recent date for US debt reporting, the US Debt stands at $19,846 billion. President Trump has cut the US Debt burden by over $100 billion and 0.5% in the first two months since his inauguration!